I don’t think I’m the only one who wants VR to hurry up and manifest into a Sword Art Online-esque reality. 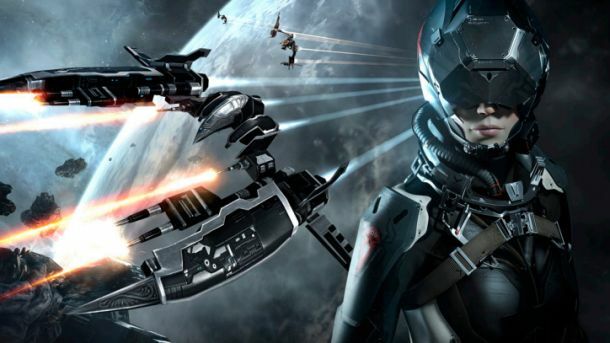 Unfortunately, the chief executive officer at the studio behind Eve Online doesn’t think that will be happening any time soon. Talking to Venture Beat, Hilmar Veigar Pétursson touched on his excitement at the prospects of VR, but tempered expectations by drawing comparisons to the progress of mobile phones and 3D graphics cards, pointing out that once-upon-a-time, “ringtones were a bigger business than games”. I suppose it’s time to resign myself to the fact that we’ll probably all be dead by the time it’s possible to plug into a virtual reality MMORPG and swan around feeling like mister big balls. Tragic.